Sweet little candle in the shape of a heart. 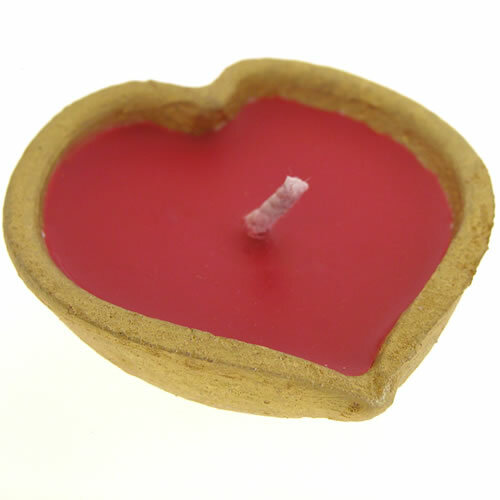 Pink wax in a gold-colored clay holder. Rich colors in a nice, handmade design. Candle handmade in Bali. Wrapped in cellophane.